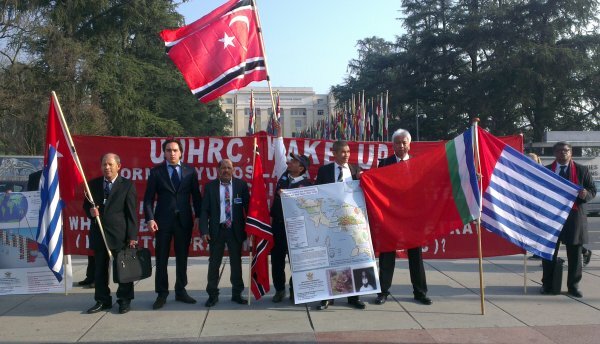 The Unrepresented Nations and Peoples Organization in cooperation with the Nonviolent Radical Party, Transnational and Transparty, held a side event on Friday, March 14th, in the Palais des Nations in Geneva entitled ''Human Rights Violations in Indonesia''. 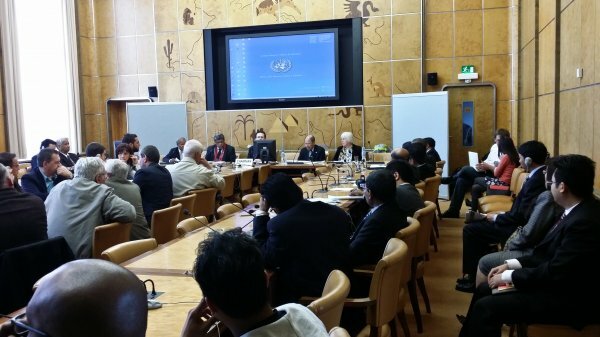 The event highlighted the human rights violations facing minority groups and indigenous populations in the country. 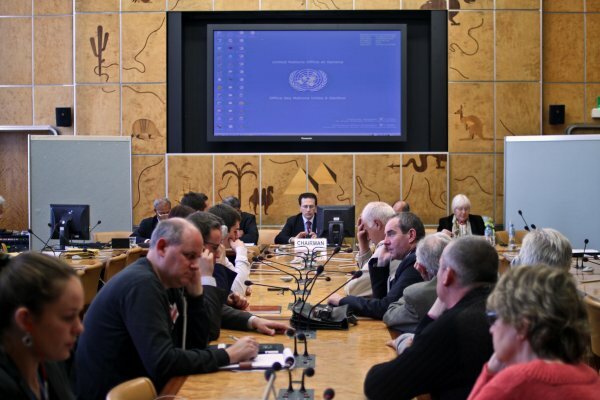 Geneva, 14 March 2014 – On the occasion of the 25th session of the United Nations Human Rights Council, the Unrepresented Nations and Peoples Organization (UNPO) in cooperation with the Nonviolent Radical Party, Transnational and Transparty (NRPTT) held a side event on Friday, March 14th, in the Palais des Nations in Geneva, Switzerland, entitled ''Human Rights Violations in Indonesia''. The Side Event provided an expert panel discussion on the human rights situation in Aceh, South Moluccas and West Papua, the lack of legal protection in Indonesia and provided a platform for discussion on possible ways out for a peaceful solution. 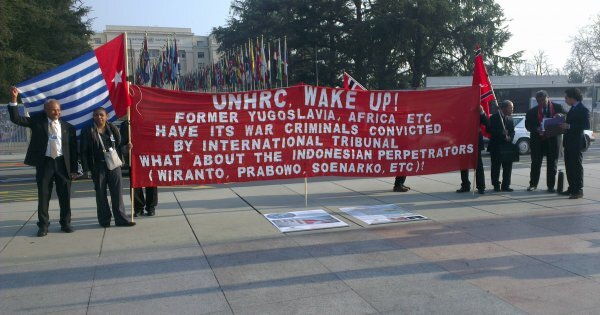 The Side Event was preceded by a demonstration in front of the United Nations by members of the Achenese, South Moluccan and West Papuan communities, to bring attention to the severe human rights violations committed in Indonesia and the unchallenged impunity. The event, moderated by Mr. Antonio Stango from the Nonviolent Radical Party, began with an overview of the human rights situation by Mrs. Martha Meijer, an independent human rights advisor based in the Netherlands who focuses on Indonesia, impunity and impact assessment. After providing the audience with a brief history of Indonesia, she presented an analysis of the current human rights issues through three types of indicators: structural, process and result indicators. She concluded that human rights in Indonesia are violated in many ways, as individuals and groups face repression and intimidation and the perpetrators are often not held accountable. Mr. Yusuf Daud, representative and Vice Chairman of the Acheh-Sumatra National Liberation Front (ASNLF), continued the panel with a discussion about the massacres that have taken place in Aceh as part of the multiple past and present military operations by the Indonesian government. Subsequently he urged the international community to condemn and hold Indonesia accountable for the human rights violations committed, and further called on the Republic of Indonesia to respect and protect human rights, and to bring past abuses to justice. Mr. Willem Sopacua, South Moluccan representative and Vice-president of the Republik Maluku Seletan (RMS), followed with a speech on the violations of political, civil, social and economic rights that have occurred in the South Moluccas from the 1950’s to present times, carried out by State instruments as a reaction to aspirations of self-determination. He also asked of Indonesia and the international community to abide by their international human rights obligations, to put an end to impunity and to bring justice to the victims. Mr. Louis Nousy, spokesperson for the National Government of the Republic of West Papua, then took the floor and discussed the struggle of the West Papuans since it became part of Indonesia. 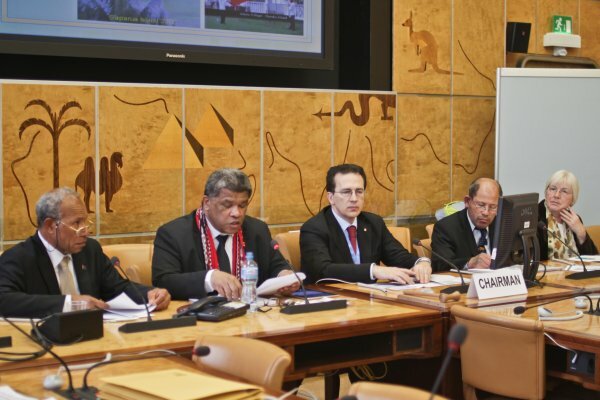 He talked about the arrests, disappearances and torture indigenous Melanesians face because of their political activities and struggle against the exploitation of their resources. 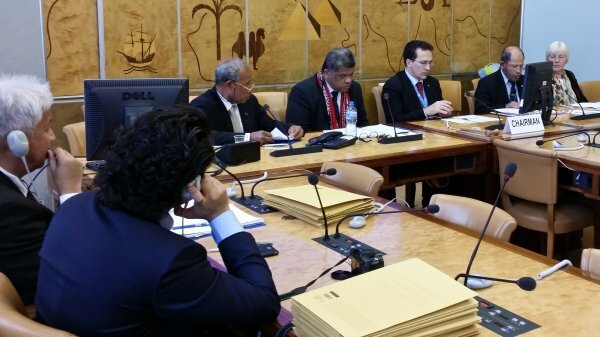 He also highlighted the predicament of West Papuan refugees who have sought to escape political persecution, and called for a proper implementation of human rights obligations at both the national and international levels. The event was concluded by the closing remarks of Mr. Antonio Stango, emphasizing the importance of finding a peaceful resolution to the ongoing conflict. A full REPORT about the event is available HERE. To download Mrs. Martha Meijer's speech click here. To download Mr. Yusuf Daud's speech click here. To download Mr. Willem Sopacua's speech click here. To download Mr. Louis Nousy's speech click here.